Ireland face England this Saturday at Twickenham with the opportunity to immortalise themselves and join the select group of players to achieve a Grand Slam for Ireland. 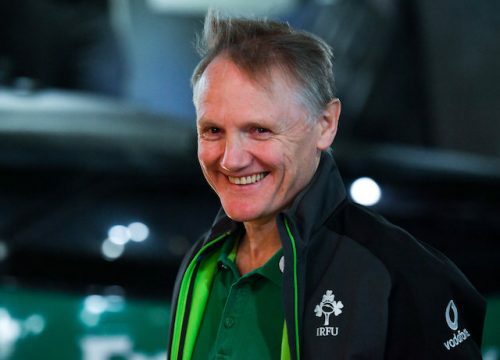 The teams of 1948 and 2009 have become legendary achievers and Joe Schmidt’s team deserve no less. 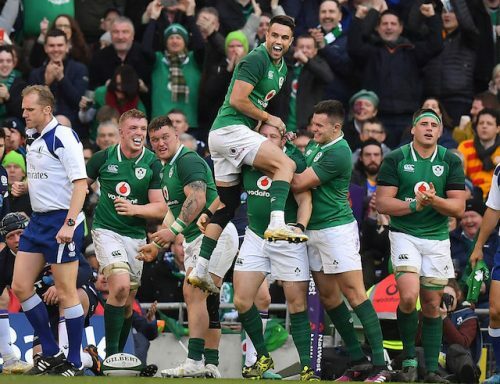 A comprehensive victory over Scotland in front of a delirious crowd at the Aviva Stadium last Saturday, gave the Irish players the send-off they needed to take on a mis-firing England team, who have not lived up to their hype that preceded this year’s Championship. Since the penultimate stage of last year’s Championship, England have won just two of their five Six Nations matches. One of those two was a fortuitous narrow victory over Wales. Ireland by contrast have won their last eleven matches and while they have ridden their luck at times during this campaign, they have improved with each performance and will justifiably start the match this week as favourites. Joe Schmidt was keen to play down unreasonable expectations after Saturday’s game. He said: “What I would say about this week is that you’re always fatigued at this stage of the Championship. There are always accumulated niggles that make the last week a testing one anyway. Clearly the Irish coach sees the Grand Slam as a milestone that both he and his team could use as the basis to build towards next year’s World Cup. “It would be huge to win this week. 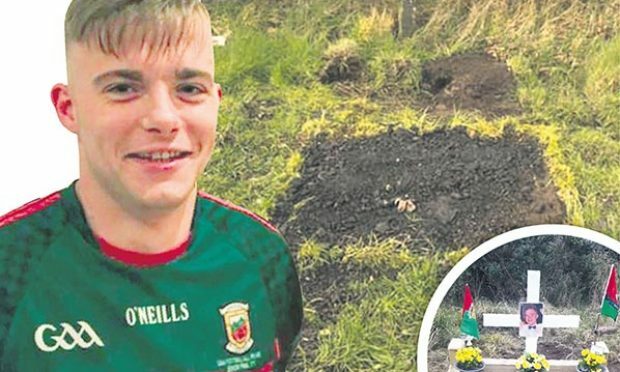 It would give me incredible satisfaction to achieve that because I work with these young men who do an incredibly good job and work very hard,” he said. 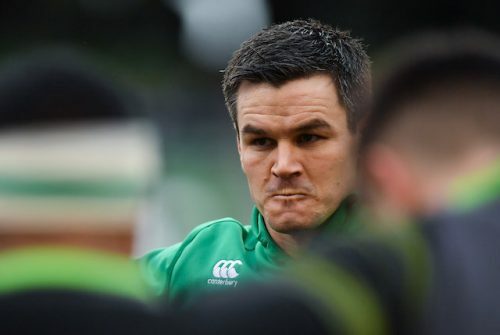 Johnny Sexton has been a central figure in Ireland’s success to date this campaign and he more than anyone realises that these opportunities don’t come along very often. He recalled after Saturday’s game, the time when he played against Scotland in 2010 with the Triple Crown at stake and Scotland upset the odds by winning. “I thought I’ll have plenty more opportunities for this, and I still haven’t won a Triple Crown,” said Sexton. Sexton is such a key figure to Ireland’s hopes along with Conor Murray they give great confidence and direction to the emerging talent that Ireland have been nurturing throughout this Six Nations. Jacob Stockdale has scored eight tries in his first ten internationals, a phenomenal achievement, but most of his tries have come from the results of his teammates graft, or the pressure exerted by his inside backs to create intercept opportunities. Stockdale’s defence still leaves something to be desired, at times he goes walkabout and allows gaps to appear on the left flank. England have the pace in their back three, Johnny May, Anthony Watson and Elliot Daly to exploit any space out wide and Ireland still need to overcome this defensive weakness. Garry Ringrose made a welcome return to action at the weekend with a very positive contribution to Ireland’s attack. He missed one tackle but generally he contained the threat of Scotland’s dangerous centre Huw Jones. 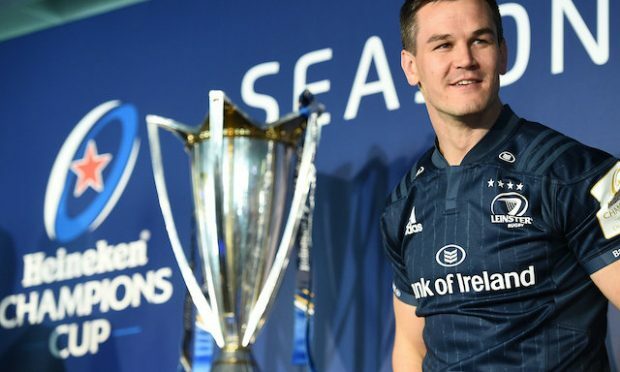 Stuart Hogg is as important to Scotland as Sexton is to Ireland and he was a constant threat but with Rob Kearney reeling back the years with a vintage performance at fullback and Keith Earls having the season of his life, Ireland looked more secure at the back than previously this year. This Irish team have an excellent balance of youth and experience, with captain Rory Best and Rob Kearney the only players who were involved in the 2009 Grand Slam winning team. Sexton was in the wider squad at that time, but not in the match day squad. In addition to Stockdale Ireland have nurtured a number of talented younger players during this season. James Ryan has been outstanding for such a young man, Andrew Porter is a tremendous prospect at tight head prop he has more than held his own against opposition considerably more experienced. Dan Leavy has been one of the finds of the season. While it was regrettable that Josh van der Flier got injured in the French match, Leavy has filled the open side position with great aplomb. 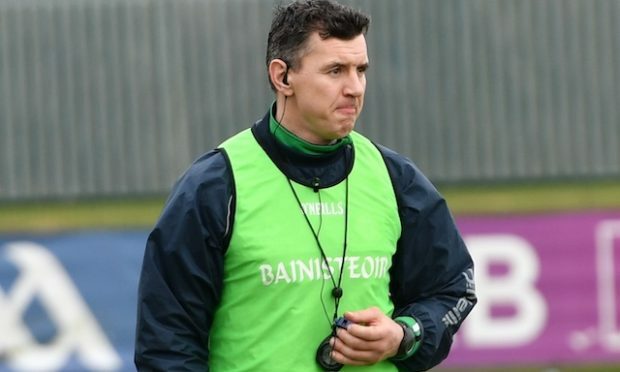 Schmidt has been able to cope with injuries far better than in previous seasons, as developing the strength in depth has clearly been a priority for the Irish coach after the experiences of the last World Cup. England will be very motivated to not only gain revenge for Ireland’s victory against them last season, but they will not want to suffer a third defeat on the trot. They were building impressively towards the World Cup, but the wheels have come off recently and they will be desperate to rectify that. It all promises to be an exciting St. Patrick’s Day as the Irish descend on West London.